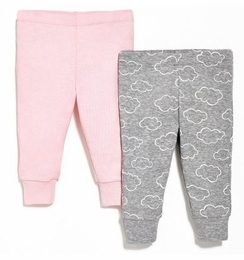 Put baby's best foot forward in our modern basic Baby Pants! The perfect pants for lounging or playing, the stretchy ribbed cuffs make it easy and comfortable for your little one to move. Mix and match with our side-snap onesies and hats for dozens of whimsical baby outfits.